Danny Sullivan published a new story yesterday named Two Weeks In, Google Talks Penguin Update, Ways To Recover & Negative SEO. 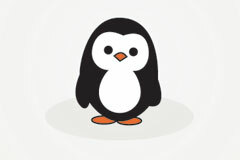 In that article, he interviews Google's spam lead, Matt Cutts on ways to recover from the Google Penguin update. There are some solid tips there but scary ones also. If you've cleaned and still don't recover, ultimately, you might need to start all over with a fresh site, Cutts said. Yes, that is scary for someone who was hit, is trying to frantically make changes but has not seen any recovery. Now, if you have not seen a recovery yet - I wouldn't worry, I don't think they refreshed the update yet, so there wouldn't be any recoveries in my opinion. But Google is not going to roll this back. Google's Matt Cutts said, "It's been a success from our standpoint." Were there false positives? Few Cutts said, "we've seen a few cases where we might want to investigate more, but this change hasn't had the same impact as Panda or Florida." Very interesting. (1) Google is not going to roll this update back. (2) Google says it had less of an impact than Panda or Florida. (3) Don't take drastic measures yet, do what you can now so when Google does refresh the update, maybe you can break free. Forum discussion at Google+, WebmasterWorld & SEL Comments.